This is change? Things not going as you hoped? 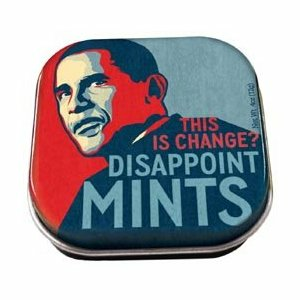 Well at least you can have fresh breath courtesy of Obama's Disappointmints. Collecter Set includes: 1 tin of mints and 1 Vendor Display Box.